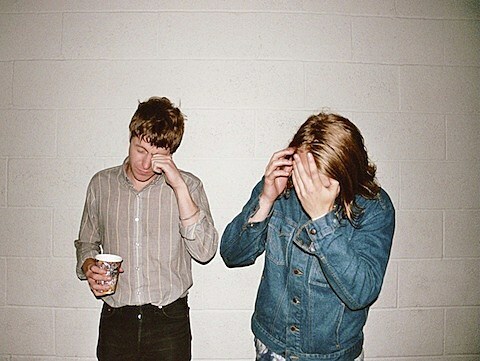 Golden state garage rockers Ty Segall and White Fence (aka Tim Presley) have announced that they’ll be releasing a collaborative LP, titled Hair, this April via Drag City Records. As SPIN reports, Ty handled skin bashing duties as well as rhythm guitar, while Tim recorded bass and lead guitar. Keep an eye out for a full North American tour in support of the album. Currently there are two late-May dates that jive with this, one of which is a performance at Chicago’s Lincoln Hall on the 10th of the month. And just to make the show damn near irresistible, the Strange Boys will play an opening set. Tickets go on sale TODAY (2/3), at noon CST. White Fence will also be releasing his own record this year, a double album titled Family Perfume, on April 3rd via Woodist. Ty is currently at work on a follow-up to 2011’s excellent Goodbye Bread, tentatively set for a September release via Drag City Records. The two will play a few shows together in early March, before Tim joins up with Thee Oh Sees in route to SXSW. All known 2012 tour dates (collaborative and solo) and Ty’s video for “Goodbye Bread,” below..